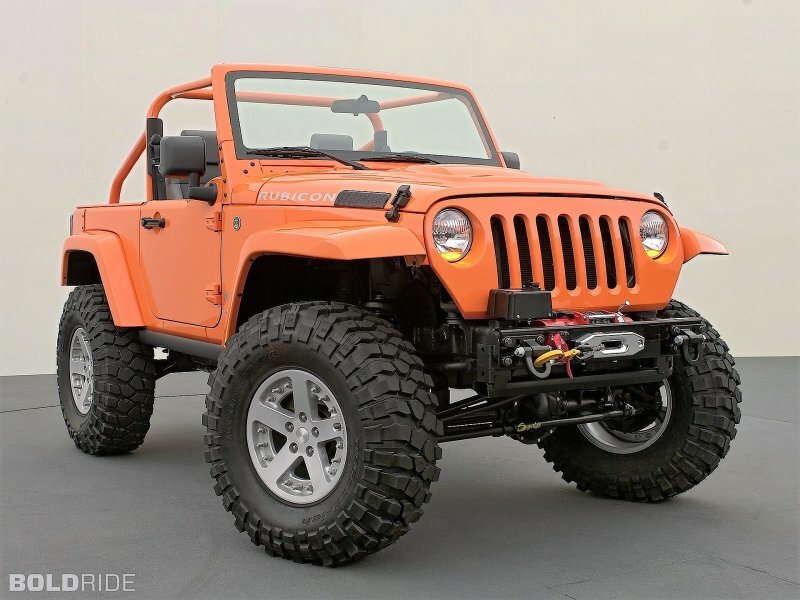 JKowners.com : Jeep Wrangler JK Forum > JK Tech > Modified JK Tech Dept. 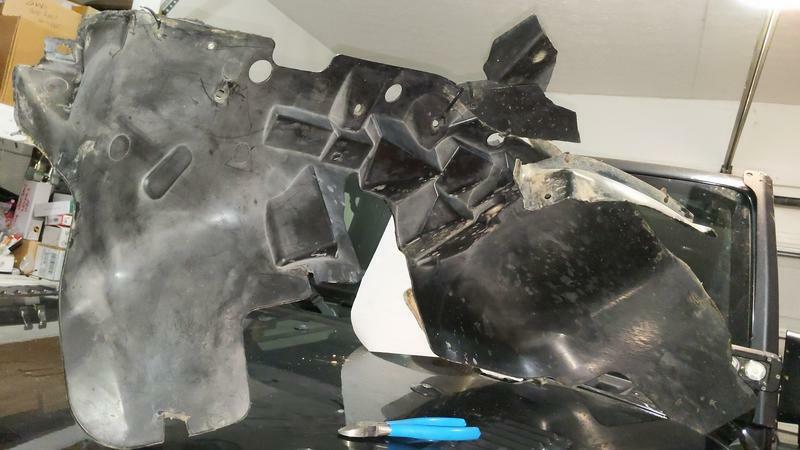 > OEM fenders ( trimmed) : aftermarket inner fender liner? At this years Crawlin'for Ried , I saw so many amazing Jeeps . I don't generally ever compare my Jeep to others but seeing so many JK/JKUs up close for 3days made me notice something; my cutup & ziptied ,stock inner fender liners up front are really ugly . Now, I am all about function , so the Frankenstein liners I have keep mud out ...but, after seeing all the nice inner fender liners , narcissism has kicked in & I am searching w/out much luck . Anyone have any recommendations for inner, front liner options of aluminium that will work on trimmed factory fender flares ? 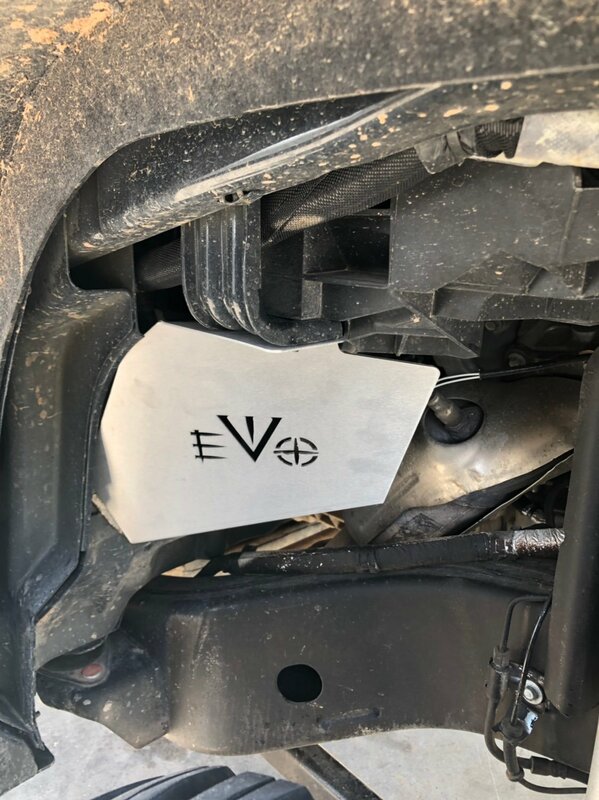 I have seen the AEV inner fenders with stock outer fenders. I would imagine they all mount to the same locations and would be usable with stock fenders. j3ff3ry_j33p and mmilburn like this. DV8 has a really nice set, and believe it or not Smittybilt does as well!!!! I'm really diggin' your front fender trim job. Reminds me of the Rubi-King awhile back!!! Do those PS liners affix down where our JKUs like to accumulate debris , at pinchseam behind front wheel , securely? Thanks for the compliment. I get a lot on the line I chose. what I thought would look like the JTTruck , Mopar Underground concept vehicle's looked like. I am not sure if I know the jk of which you refer? Picts? 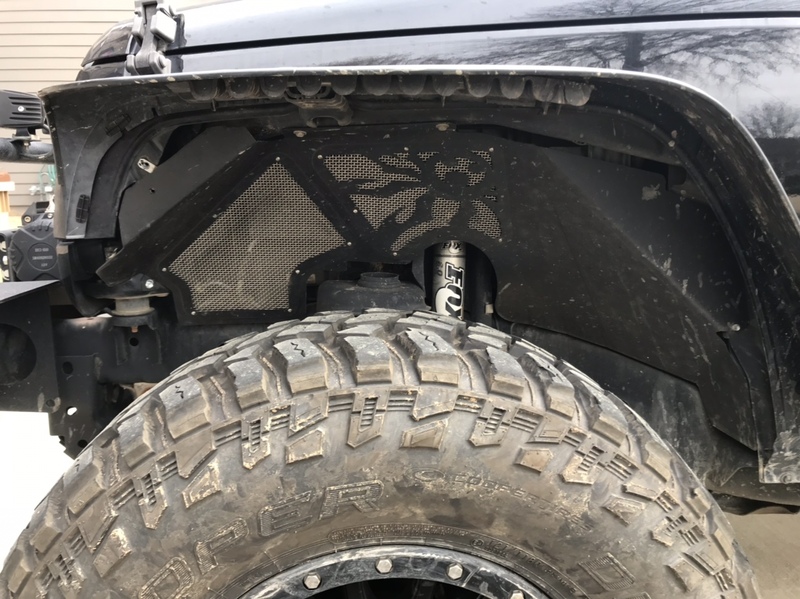 i just installed Artec inner fenders because they were cheaper than most. It's crazy how much companies are charging for these thin bits of aluminum. j3ff3ry_j33p and jdinny like this. that is not coincidental if that is the one you reference! I get that confused with the 'Lower Fourties' build but, they all three share one thing in common ; they have that same, hi-line Mopar fnder flare . 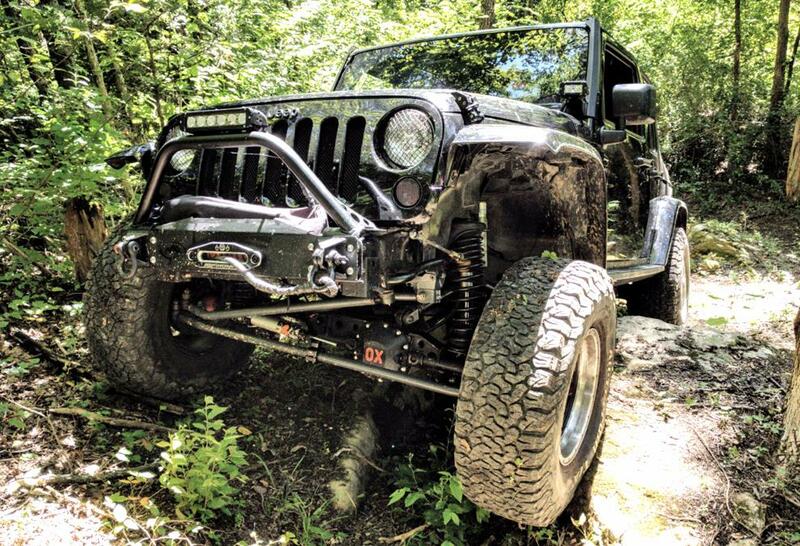 That Rubi-King has same exact fender profile as the JT Truck concept that I went gaga over when I saw it that year. I did my best to make 'em look like that. It makes me super plzed tht you thought they looked like that, thanks again! If I didn't find these cheap flebay flatties, that's what I was gonna do. take some nylon washers stick them under the bolts then put them back on = rattlegone . My Jeep has smittybilt flares and no liner when I got it. I hate the open look personally. So i got the Evo mini liners they look great and it doesn’t have the open unfinished look anymore. location I would probably run those . But , being in the SouthEast , the unavoidable nemesis to all rock crawlers around here is , sadly, inevitable & often unavoidable; mud. Those liners are far too open , even if the JKs engine bay is what Mopar considers a " wet" one , I can't imagine what damage the grit from accumulated mud would chew thru every moving part pulley or joint under the hood in a season . But , out there those probably also help keep the heat mitigated . Last edited by j3ff3ry_j33p; 04-02-2019 at 04:22 AM. I am seeing the same genericism on the - am I really about to reference this - barricade front liners . I totally agree that they would be terrible in the southeast or anywhere thats gets weather. they are aluminum and are very light. i know EVO also makes full liners for different suspension set ups. something to look into. Just about every major MF makes them. We have trimmed the aluminum ones to fit different coil over setups they are not hard to trim if you have the right tools. The branding isn't overly in ur face with these. I'll update this w/ which ones I chose once they get here. I found ones I liked w/ no obnoxious brand-placement AND no ventilation holes, (as I wanted) . I have Ace ones in the garage....just need to get around to some maintenance prior to install. Need to do my frame and replace gas tank skid and some rust forming in a few spots. I have quite a bit on the to do list.